Let’s clean the oceans together with the first sailboat raking up the seas to collect plastic wastes. In 2050, we will have one piece of plastic for one fish! 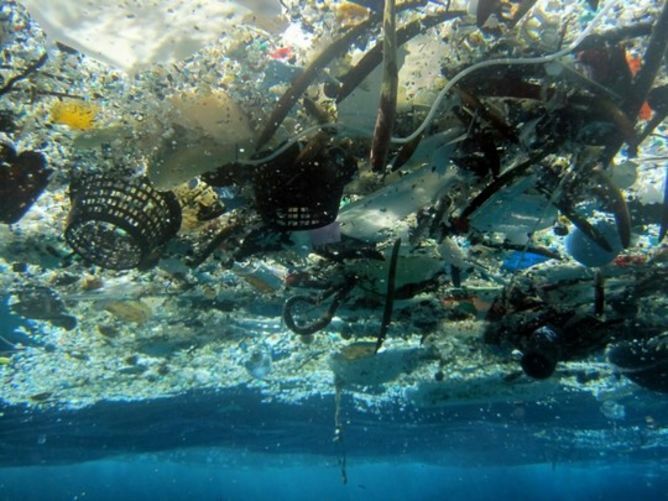 8 million tons of plastic are dumped annually in the oceans, mainly by coastal communities worldwide. It is clear that we must act upstream: reduce and control all plastic waste from our daily consumption and use more alternative materials. Unfortunately the habits, customs, lack of resources and the slow pace of political decisions not to mention the population increase do not allow us to hope for a significant improvement of this scourge before way too long. The ocean is at threat. if it die, we die (Paul Watson – Sea Shepherd). 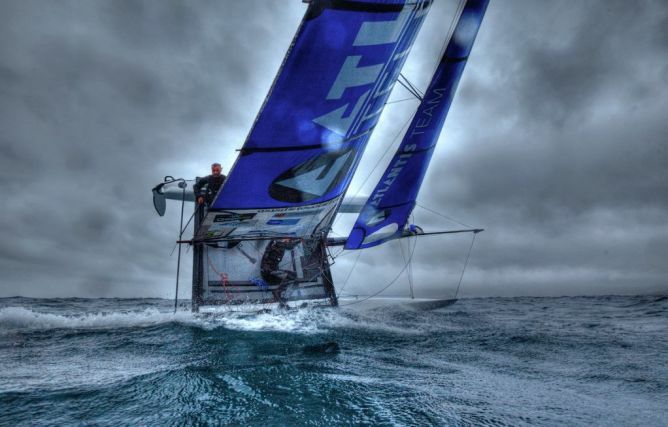 After my worldwide tour of sport catamaran, in which I sailed low over the water for more than 200 days, I have seen firsthand this planetary pollution, it is high time we take decisive steps. I targeted my action on the oceans, particularly in coastal areas where plastics are still concentrated in the form of macro waste (the largest ones), relatively easy to collect. To pursue this objective, my NGO «The Sea Cleaners» conceived a huge boat capable of collecting plastic wastes floating on the ocean. 60 meters long, 72 meters wide and a waste collector inspired by the whales baleen: Let me introduce you The Manta. Capable of collecting up to 300 cubic meters of plastic per trips, it will be able to move very quickly on the most critical areas: pollution from concentrated areas by currents, or after a natural disaster (tsunami, flood, cyclone, etc.). I know very well that the best solution would be to stop throwing plastics in the sea, and I will fight to make this happen, with all my strength. You can trust me on this. But in the meantime and until this genuine evolution of behavior on earth happens, I suggest we all take advantage of my experience as an offshore browser to actually start bringing together a solution to this global catastrophe! Large rivers are fueled with small streams and I am convinced that this initiative can be a real trigger that will stir awareness of everyone and help everyone feel accountable for their action. I create an association of general interest. 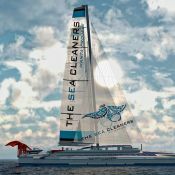 For this I have set up my association with «The Sea Cleaners» and designed a huge boat able to collect plastics in the ocean: The Manta. 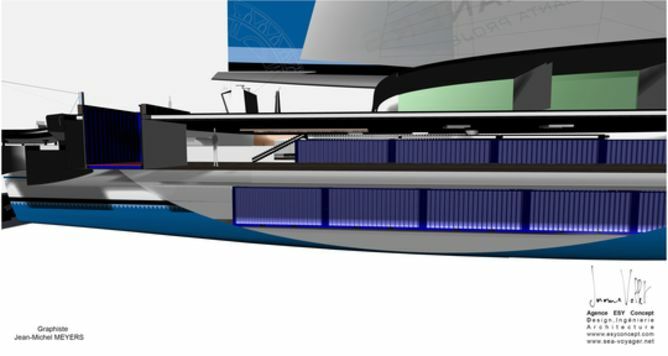 This offshore vessel will be able to move very quickly on the most polluted zones: where wastes are highly concentrated by currents, or after a natural disaster (tsunami, floods, cyclones, etc).Un navire d’une taille suffisante pour une efficacité maximale : : 60 mètres de long, 49 mètres de large. A vessel of a sufficient size for maximum efficiency: 60 meters long, 49 meters wide. MANTA is equipped with a «collector» of plastic waste inspired by whale baleen. With a width of 72 meters once deployed. It will act as a filter, as do the Manta rays in the ocean currents. All collections will be geotagged, monitored, and analyzed before being sent to recycling centers. The data will be formalized on board and then transmitted to the international scientific community. It will help the scientific community calibrate the first observations made offshore and other data produced by sampling in oceanic gyres. A unique system of sound has been designed to move away fish and cetaceans in the trajectory of Manta. With a two months autonomy, its tanks can hold up to 300 m3 of plastic, sorted and compressed, for recycling or land reclamation. A low carbon footprint propulsion system: Double classic rigging, kite wings and hybrid motors. Yvan Bourgnon : Initiator of the project. Building on 20 years of experiments: ocean racing sailing the ORMA multihulls on the formulas 1 of the seas, and world touring in a non habitable catamaran sport has contributed as field expertise to the project. Yvan is the spokesperson and the leader of this pragmatic and ambitious project. Patrick Fabre : Co-initiator of the project. Founder and President of OCEANOPLASTIC an NGO who fight against ocean plastic pollution in coastal areas. «Obsessed» by this scourge, he offer his full support to the project through his knowledge about the subject, and his organizational skills (Top french engineering school) for Coordination. Jerome Vollet : Designer and CEO of the consulting firm ESY CONCEPT. His designer specialised in conceiving large ships, he is the man of controlled creativity. He managed a Sleek and efficient design as effective for campaigns as for navigation. Pierre Guyot : head of communication and offers partner. In charge of the Manta Project communication, strategies, influence and partnership offers. Audrey Delval: Digital Manager. Head of digital strategy, management and steering of digital communication on various channels of distributions. Your Participation in this campaign will finance the launch of the project and help us find partners to carry out detailed studies, practice testing in towing tank and actually start building the first Manta. Empower the team can go canvassing from 2017 the necessary funding for the completion of the project. The Sea Cleaners is primarily the project of all citizens who are concerned about ocean pollution. The success of the collection with an ambitious amount will be the best indicator to be sure that this challenge is legitimate and popular. If the campaign is successful, it will be followed by extensive media coverage that will effectively mobilize other investors ans sponsors who will help us from the beginning of 2017 to fond funding to start construction of Manta 1. The first studies were self-financed. The project is now viable and recognized by all as a true trigger to concrete results on the field. Now we need to get the project on track and take it to the water to clean the oceans. 2021 Starting the first ocean-waste collection campaign with MANTA. This project ended successfully on 18/4/2017 14:00! Attend a conference organized in Geneva next October to understand The Sea Cleaners’ project. 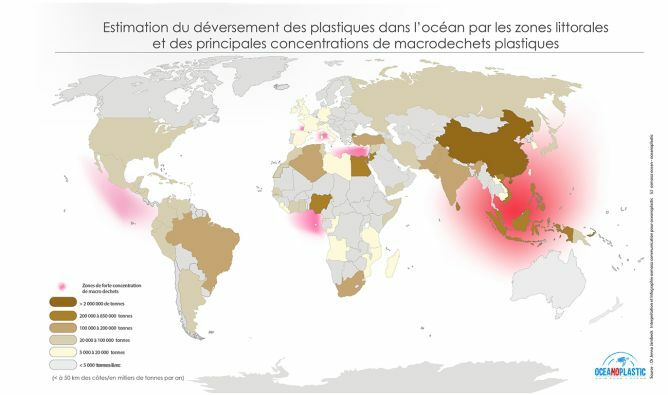 We will be discussing ocean pollution with our specialists Yvan Bourgnon & Patrick Fabre. A moment of conviviality where we can brainstorm together. 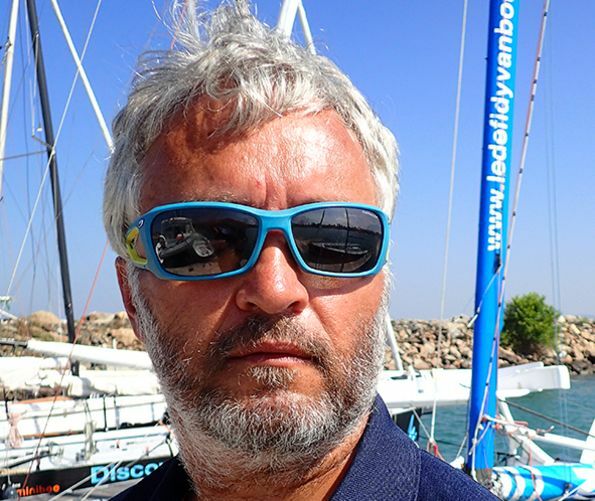 Cruise with Yvan Bourgnon on the sport catamaran on lake Léman (Switzerland) . Yvan will show you how he handles this machine with dexterity on the regattas in the championship and how he managed to live 200 days on this boat, Release dates will be announced at the end of the campaign. You are part of the first Sponsors Founders of The Sea Cleaners that will recess over the consideration more privileges: Part 1: presentation of the project and a perspective on the level of the oceanic pollution in your company driven by Yvan Bourgnon + autographed postcards to all the guests at the event. Part 2: You will be invited systematically and personally to all official events of the year 2017 TheSeaCleaners (travels at your expense). The invites sent will be valid for 5 people max. Last but not least: You can communicate in 2017 on the project for internal communication and tell a great story !! 1 passage on bord in the VIP cabin of the Manta: Be the first passengers on the Manta. Spend one week on our first sail ship and experience how garbage is being collected for the first time during the first months after the launching. Ensemble, nettoyons les océans avec le 1er voilier océanique récupérateur de déchets plastiques un immense bateau révolutionnaire : Le Manta. Ce navire hauturier, sera en mesure de se déplacer rapidement sur les zones de pollution les plus critiques : zones de pollution concentrée par les courants ou le vent.